Homemade skin care products for oily skin and pimples can help your skin avoid a crisis situation! If you are one of the unfortunate individuals cursed with the daily grease and grime of overactive oil glands, you understand the need to find products able to keep your aggravating skin under control. Many people experiencing an overproduction of oil go through the usual routine of wasting time and money trying every product on the market. When they find there is no over the counter solution, discouragement sets in followed by despair that they will never be able to join the ranks of those who enjoy wearing cosmetics without having them absorbed into the face 10 minutes later. This is why recipes for homemade skin care products for oily skin and pimples can serve as such a valuable wealth of knowledge. Knowing how to solve a problem long-term rather than briefly or merely covering it up can empower you to discover the healthy, happy skin you've always dreamed of. There are countless homemade remedies for out of control skin and blemishes. Below are just a few of the most popular, none of which will require a lot of expense, time, or brain power. Mix the ingredients together and apply immediately to the face for around ten minutes. This recipe will make enough for more than one mask, so plan on sharing with a friend at time of application. The treatment is most effective when applied fresh, so resist the urge to refrigerate the extras for later if you are having a makeover party for one. It may be something you always considered to be a negative part of a healthy diet, but plain yogurt can benefit your skin a lot more than your taste buds. Applying plain yogurt every day either as a cleanser or as an after-application can help to dry up the excess oil found in your pores and you will quickly observe improvements to the skin. Go to your local wholesale grocer and stock up on plain yogurt, as this works best as a daily routine and can be used indefinitely. Applying tea tree oil mixed with sea salt can help ease your oily skin issue without causing excessive dryness. Both ingredients can usually be found in a natural foods store. Many over the counter formulations include these ingredients, however creating your own home concoction will give you the purest and often most effective version. Just as lemon is known to tame the oil glands, it can serve as a healer for pimples as well. You can slice a lemon and apply directly to your skin if you are looking for a quick way to reduce redness and swelling with a less than welcome blemish. Rubbing lemon peel with a small pinch of sugar on your skin for at least ten minutes can help you to experience less acne and help prevent the risk of pocking and scarring as well. Lemon juice combined with tomato juice can also be beneficial. Keep this refrigerated and apply the mixture onto your skin regularly. This can help to reduce your blemishes as well as fade other facial embarrassments such as facial hair. Switching to another citrus remedy, drying orange peels and forming them into a powder can work well as a pimple preventer. The powder can be kept for further applications, making the effort of drying the peels and granulating them worthwhile. 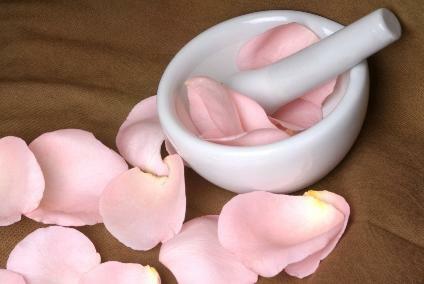 You can add rose water or regular filtered water to the powder to form a paste on the skin. You will find your skin tone more even and your acne outbreaks more infrequent with regular use. Making homemade skin care products for oily skin and pimples can be a fun activity for a girls' night in, or just a simple and economic way to give your oily skin that boost of help it has been craving.